Get the Leader Survival Toolkit! You ever had one of those days where NOTHING goes right? Alarm doesn’t go off. GPS sends you to the wrong address. You walk in the door only to realize your well-planned day just got blown to smithereens. Or in my case last week, get caught in a monsoon during a measly 6-block walk to a presentation. Nothing like showing up to a speech looking like you just ran a marathon in your suit. Nice. If you’ve been a leader for any length of time, you know how it is. But leaders pride ourselves on rising to the occasion when the chips are down. Keeping calm under pressure. In my case I found a bathroom, changed my shirt (twice… my clean shirt for the next day also got soaked through my suitcase). I didn’t look my best, but I didn’t look homeless, which was a solid upgrade from a few minutes before. And I didn’t snap or vent my frustration to anyone. Those are the good days. But there are bad days too. The days you do snap. Say something you regret. Use your “outside” voice while yelling the wrong F-word. Respond when the right move is keeping your mouth shut. How well do you exercise self-control? It’s a challenge for most leaders. It requires self-awareness and observing yourself through another person’s eyes. You may feel good about your self-control. Does your team feel the same way? They were more stable emotionally and less prone to anxiety, depression, paranoia, psychoticism, obsessive-compulsive behavior, eating disorders, drinking problems, and other maladies. Exerting self-control can negatively affect future self-control if it is not replenished. OK, you’re convinced. This self-control thing is worth working on. You know the ground rules. But how realistic is it to maintain self-control all day long? What’s your strategy for managing this precious resource? Step One: Don’t Fail the Marshmallow Test. Watch for Signs of Willpower Depletion. The classic study on self-control is basically torturing children. You put kids in a room with a bunch of marshmallows and tell them not to eat them. Then you leave and watch them struggle to avoid eating them (or not struggle at all and watch the little heathens pound fistfuls of marshmallows). The marshmallow test turns out to be an incredible predictor of performance later in life. It’s basically the only test you can give a child that predicts how they will perform as an adult (not even IQ does that). Another illustration of the power of self-control. You don’t want to bonk as a leader. Here are 4 questions to ask yourself to determine how much willpower gas you have left in your tank. Are you getting frustrated more easily? Is your overall energy down? Once you recognize your willpower reserves are running low, move on to step two. Step Two: Slow Down And Eat Some Humble Pie. If your self-control is running low, it’s likely your relationship with your team is struggling because of it. You don’t want that. Remember, employees perform better for leaders with higher levels of self-control. Employees perform better for leaders with self-control. Practice “Here and Now Humility.” This is the idea that when someone in a higher power position asks someone in a lower power position to do something for them, their roles switch. The person in the higher power position becomes dependent on the other and thus, inferior. Schein suggests that you embrace this dynamic as often as possible. Or check out the Recognizing Gaps Tool in our Leadership Survival Toolkit for practical ways to “flip the script” and show humility toward your team. Stop being so task-oriented. Task-oriented relationships encourage individualism and competitiveness. On the flip side, person-oriented relationships encourage cooperation, teamwork, and putting group (or business) before self. How do you maintain self-control? Here are 3 practical tips to get you started. Start your day off right. Get some early positive momentum by building habits that start your day on the right track. Tim Ferris’ terrific new book Tools of Titans mentions this simple tip from Hindu Priest Dandapani: finish your sleep each day by making your bed. Ferris also recommends journaling about things you’re thankful for each morning. This is part of my daily practice too. 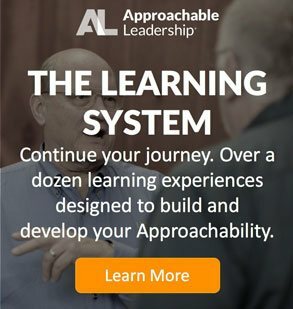 I’m such a fan that it’s included in all of our Learn and Lead Journals. Accomplishing small steps gives you the feeling of control. Take care of yourself. Baumeister and Tierney found that sleep restores willpower. So get plenty of rest. Ferris offers many practical tips on this too. Also organize your workspace. Being in a clean room increases self-control, which is why you should keep your physical and virtual desks under control. Finally, eat right. Will-power is directly affected by your glucose levels. Pre-commit. Baumeister and Tierney also suggest pre-committing to the steps you’ll take to overcome anticipated obstacles. Let’s say hypothetically that you drive by a Sonic on your way home from work. What’s your plan to keep that voice on your left shoulder from talking you into grabbing a cookie-dough Master Blast after a hard day? Decision-making depletes self-control. Having a plan in place makes it much more likely that you’ll follow through and avoid the temptation (not that I have any personal experience with this :)). Leadership takes self-control. And self-control is like any limited resource – it must be conserved and replenished. Here are 3 tips for upgrading your self-control as a leader. Don’t fail the marshmallow test. Watch for signs of willpower depletion. Learn to recognize the signs that your self-control is running low. Slow down and eat some humble pie. Take some time to reflect on how your low-willpower moments impact your team. Practice humility and use our tools to flip the power relationship. Make Your Bed. Work on building your willpower “muscles.” All good things take effort. Practice behaviors that increase your chances of acting from a place of self-control. How far into your day do you usually make it before your self-control reserves burn out? Can you think of examples where your lack of control has had a negative effect on a team member? What are 2 or 3 things you can do to build up your self-control muscles? Sign up for our blog updates and never miss a post. We’ll send you a FREE eBook as a thank-you. 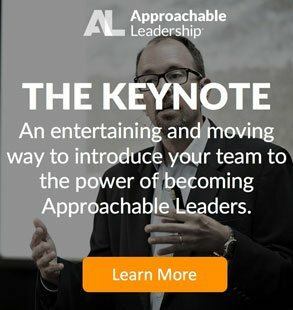 Here is what others have to say about recent Approachable Leadership Keynotes and Workshops. 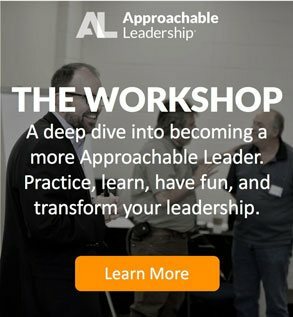 "I recently attended the Approachable Leadership Session with Phil Wilson at the CUE Conference in Denver. It was a great session. I loved the interactive sessions, they really help you learn some new techniques. Phil does a great job involving the participants and keeping everything moving at a great pace. I am so enthralled with this training that I brought Phil to our location to put my troops thru the paces for approachable leadership!"